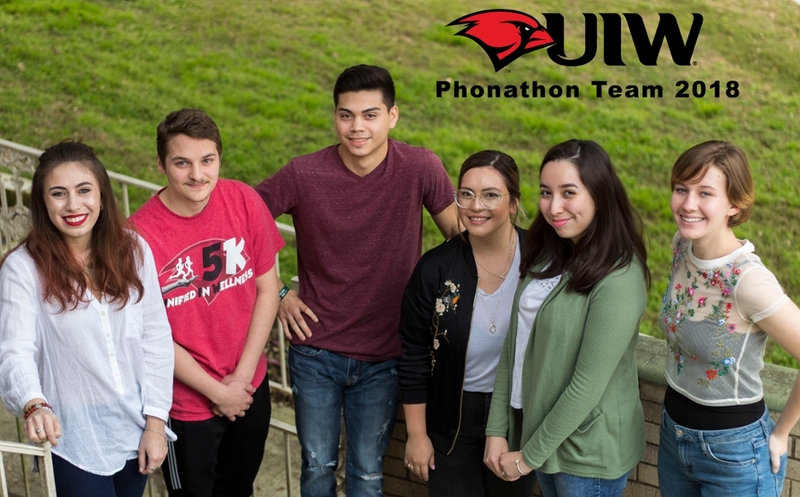 Phonathon is UIW’s student calling program. Students from across the university gather together with one unified goal - to connect with our alumni. As a year-long event held to raise funds for the UIW Scholarship Fund, Phonathon is an integral part of UIW’s annual fundraising activities. We are very thankful for our generous and committed alumni family. Thank you for your generous support! Did you receive a call from one of our Phonathon students? You can make your online gift and pledge payments here. No matter the amount, your gift will make a difference in the future of UIW and its students. UIW Phonathon relies on enthusiastic, friendly, and motivated students to help the university grow. While working for the Cardinal Callers, students have the opportunity to build job skills that will look great on a resume, while earning competitive pay. UIW Phonathon is now hiring for the 2017/2018 Academic Year. If you are a current, full time UIW student we encourage you to explore this exciting job opportunity. For more information, please call (210) 805-5832 or email Elia Treviño, Annual Fund Coordinator, at elerma@uiwtx.edu.